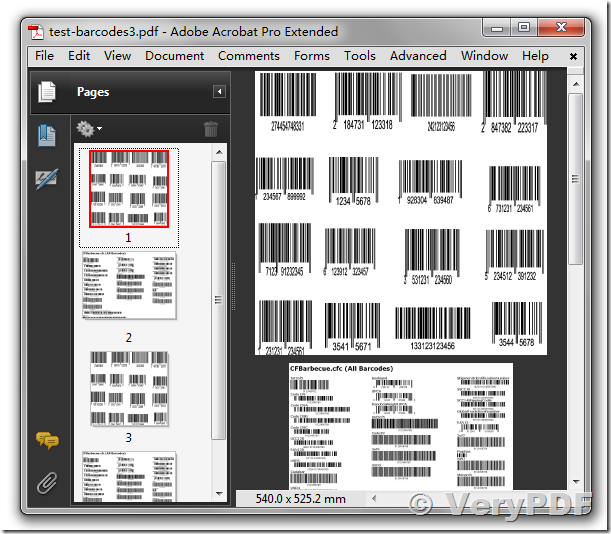 What Software is Available to Provide OCR Barcode Recognition for PDFs? Many software packages provide OCR barcode recognition for PDFs. Therefore, people can choose from numerous providers for OCR barcode recognition. These companies create a variety of software for OCR barcode recognition for PDFs that can range from small simple packages with a few technologies to large costly ones with a large number of technologies. The packages that provide OCR barcode recognition for PDFs have one primary purpose. This purpose is to capture information present in barcodes on scanned PDF files and transform them into text searchable format. These software packages have optical barcode recognition (OBR) technology at their core. OBR technology is responsible for physically scanning through scanned PDFs of paper documents and capturing the information present in barcodes. Optical barcode recognition (OBR) technology used in OCR barcode recognition for PDFs is an advanced optical character recognition (OCR) technology. OBR technology is frequently found bundled together with basic OCR technology because very often barcodes are present on scanned images of letters and invoices. When important information is present in the form of barcodes, only OBR technology can capture the necessary information. However, many other software packages have several different OCR technologies. Those that have OBR bundled into them can be used to provide OCR barcode recognition for PDFs. As mentioned above, there are several ways to get OCR barcode recognition for PDFs. One of the easiest methods is to buy a simple software package that is built specifically to provide OCR barcode recognition for PDFs. However, it is much easier to get bundled software packages that contain OCR and OBR technologies included with it. Many companies prefer this option, as this software can be used for OCR tasks also. This entry was posted in Barcode Generator and tagged barcode api, barcode generator, barcode image, barcode ocr, barcode reader, barcode recognition, barcode sdk. Bookmark the permalink.